A good paladin knows that while heavy armor provides a good defense, the best defense comes from both adequate protection and proper skill and technique. That means wearing a good pair of bracers, like these Paladins Bracers, to keep your hands mobile. These bracers perfectly mimic the classic style of plate armor that was favored by medieval warriors hundreds of years ago, yet these bracers are not made of plate metal. 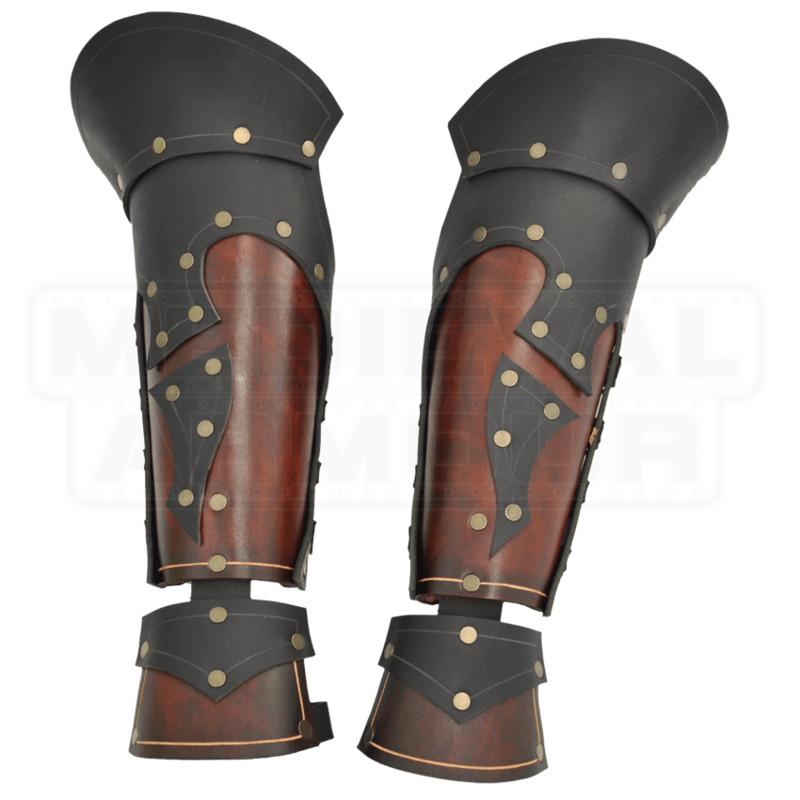 Deceptive in their appearance, these fantastic looking bracers are made entirely from high quality leather, possessing a stunning and rich brown hue that is accented with black, making them look just as regal as metal armor once did! 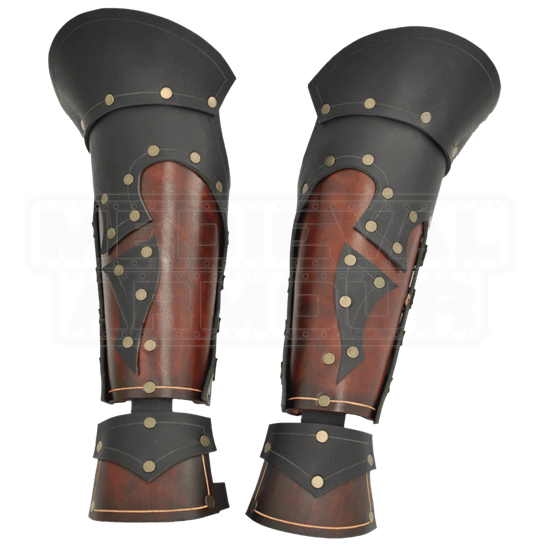 Not only do these bracers provide great protecting for your arms, covering them in regal leather plate decorated with riveted black leather adornments, but they also feature hand guards, which flex and move as you use your hand, as well as black leather couters, which provide a bit of protection to the elbow. These knightly bracers are available in only one color, which perfectly accents our other Paladins Armor pieces. It is also available in one size, although thanks to the D-ring laces, these bracers are also highly adjustable. They are designed to cover the whole forearm, from wrist and hand up to the elbow. The Paladins Bracers are a great way to protect your hands when you engage in a few friendly LARP battles, especially when you consider that these bracers not only provide good protection, but they are also great for letting you retain a great deal of your own manual dexterity, which means intricate sword twists and agile strikes are not nearly as hard to make!